Live Chat has become an industry standard in eCommerce. We run live chat for over 100 eCommerce stores, and regularly see a well run Live Chat strategy increase site-wide conversion rate 10-30%. 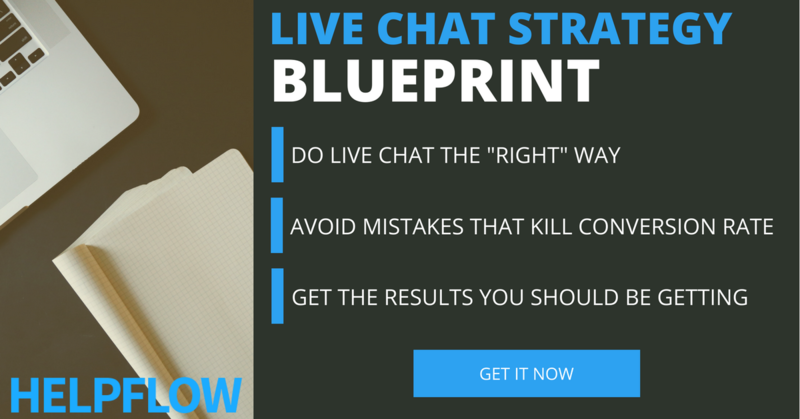 You can see how in the Live Chat Strategy Blueprint. Even if you’re already if you’re using Live Chat, you’re probably making at least a few of these mistakes. This frustrates your visitors and kills conversion rate. Why would you do that on your website? It’s a horrible experience for customers if you do this on live chat. Yes, it makes sense for you as the business to have their name, email, phone, and more info about what they might want to buy from you – but you can get that in other ways during the chat. And if you’re doing this just to automatically add them into your email list or marketing system, you can do that during the chat too. Visitors are on your website at all times, including nights and weekends. If you’re not available to help them, then you’re going to miss out on a lot of sales opportunities. Your live chat needs to be online constantly. After business hours, prospects will still be browsing your site. Research-based sites with a personal focus often see a big spike in the late evening. B2B focused sites spike in the morning, but do have strong volume in afternoon and late evening, including slight growth in the evening in some cases. Apparel / fashion focused sites seem to be pretty consistent through afternoon and evening, sometimes increasing late evening but not noticeably. The weekend is also a popular time for website visitors, even on B2B sites. Below is a screenshot from one of our B2B customers that sells to machine shop in the US. What if you’re not online enough? Visitors that chat convert 4-10X higher than visitors that don’t chat. Even though you might be away from the computer at 645pm on a Wednesday evening, your prospects and customers are still on your site. You need to be available to chat for customers. The best live chat schedule – If you’re going to maximize the results that you get from managing website chat yourself, vs having us manage it for you, you should be online from 8am CST – 11pm EST (15 hours per day) every day of the month (including weekends). If you only manage it during business hours, or “when you can”, then there will be visitors on your website that don’t get the help they need and you’ll be missing opportunities. If someone is on a single product page for quite awhile, but still browsing around the page, they’re probably looking for specific information they’re not finding. If someone puts something into their shopping cart, but then hits the back button, they might have a hesitation that is stopping them from completing their purchase. In these situations (and many more we track), configure live chat to be there at the perfect time to offer help. We configure greetings to ask the visitor if they need help based on what they’re doing on your website. 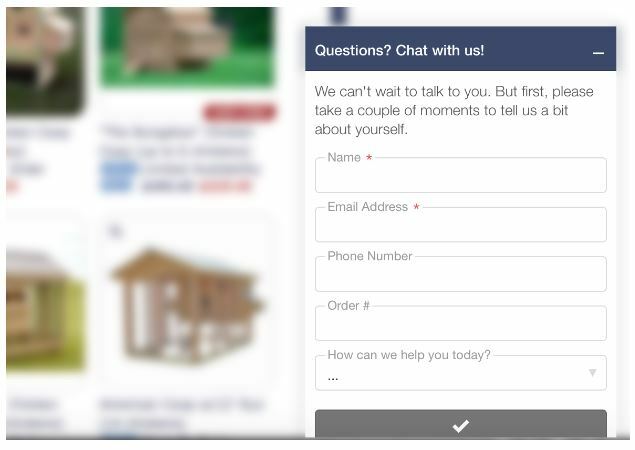 We track the effectiveness of these greetings to make sure that we’re not bugging visitors that don’t need help and we’re connecting with visitors that do need help at the perfect time. Learn more about advanced live chat greetings here. Only having a “Click to Chat” button on your website means you’re missing out on a lot of conversations with otherwise interested prospects. Log Me In, Inc. published a study showing that chatters who engaged via a proactive chat are 8x more likely to convert than visitors who don’t chat. If you’re going to manage the website chat system yourself, make sure you configure really personalized greetings and track the effectiveness of those greetings over time. Next time you go to a restaurant, ask the server a simple question and watch how the service is. You need to be just as good on your live chat. For example, ask the server before ordering “is there peanuts in this dish? I’m allergic”. Let’s assume he doesn’t know, and needs to check with the kitchen. He will finish taking your drink order or other food orders, go to the kitchen to check, and then come back to let you know. This would probably take 1–3 minutes max. Would you be angry or frustrated if he went back to the kitchen, then served another guest their drink, then chatted with another staff member, then took a smoke break, then finally came back and gave you an answer after 15 minutes? When you don’t respond quickly on live chat to your website visitors questions, they get frustrated or angry. While some tech-savvy website visitors will browse around while you look for an answer, the majority will sit there and watch the chat box waiting for an answer. You need to answer their responses fast, and keep them informed the entire time re: progress. The first message someone asks on your website chat system should be replied to within 4-6 seconds max. Every response after that should take a maximum of 30 seconds. That doesn’t mean you need to find a complete answer in 30 seconds, but you do need to keep them informed. If you take longer on your live chat responses, it’s not just ineffective. It will hurt sales. People that would’ve otherwise purchased without chat will get frustrated with the lack of response and leave. If your team is 100% dedicated to being available on the website chat and engaging with visitors, then you’ll be fine. But if they do any of the below, you’ll be leaving opportunities on the table or damaging the reputation of your business. This sounds extreme, but in each of the above situations, you only have two and neither will produce a good result for your business. Option 1 – Make the chat “offline” so that the chat box has a “leave a message” option. If that happens, you’ll miss opportunities for website visitors that have a question now. Option 2 – Stay online and manage website chats as they come in while you’re doing other things (meetings, calls, time with kids, etc.). This will lead to slow response times, short responses that aren’t that helpful to the visitor, or prematurely asking for their contact info to contact them later. At Help Flow, all our chat agents do is website chat every day, all day. We manage 1,000’s of website chats per day for our customers, and constantly improve our systems and processes to make sure the visitor is having the best experience possible. If you can’t do the same, then it may not make sense to manage the website chat system yourself. Now that you’ve seen the best practices above, we’ll share the simple economics that make having someone manage the website chat for you a no brainer. We’re online for your website visitors 15 hours per day, every single day. That’s over 100 hours per week. The cost of our plans vary based on your website traffic, but the effective hourly cost is around $1.50/hr. Even if only 50% of your team’s time is spent managing chats, the cost would be $2250 – $3000+ per month while having us manage it for you would be ~$600 per month depending on your website traffic level. And, we can increase your site wide conversion rate by 10-30% – here’s real results from customers. Regardless of how you look at a Help Flow plan, you’re getting a huge value compared to the costs of managing this yourself in house without leaving opportunities on the table. You don’t need to use our live chat service, but you should definitely be offering live chat to customers. 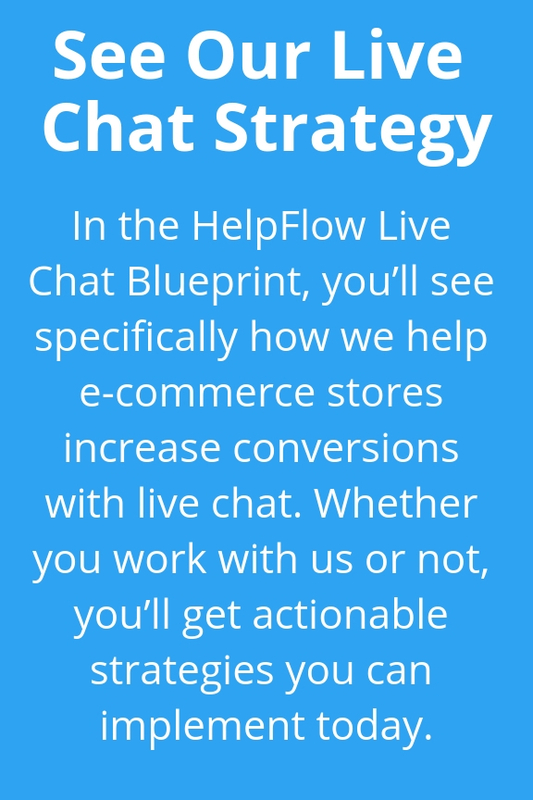 Avoid common mistakes that frustrate visitors and kill conversion rate by downloading the Live Chat Strategy Blueprint. I am using live chart on my website its really worthy its helps me to increase my conversion 20% more. Much needed information you have posted.Love you so much for your needful writing.